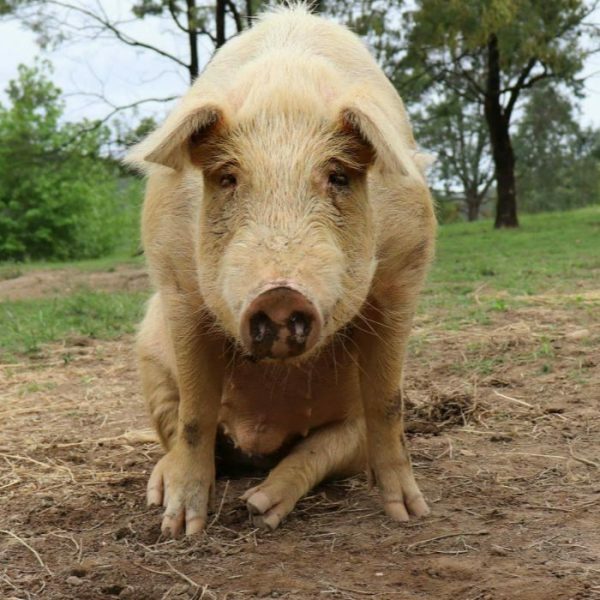 Jeremy was found as a piglet wandering around an inner city suburb, scared and alone. Luckily, he was rescued by a good samaritan and brought to Where Pigs Fly Farm Sanctuary. Jeremy quickly settled into a new life – digging wallows, roaming the pastures and playing with the other rescue animals. Jeremy’s personality is distinctive and unique – he is bold, sensitive, curious and very mischievous. Jeremy has found a forever home at Where Pigs Fly Farm Sanctuary where he will live his life free from cruelty and suffering.